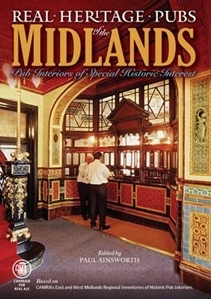 This guide will lead you to the pubs throughout the Midlands which still have interiors or internal features of real historic significance. They range from rural 'time-warp' pubs to ornate drinking 'palaces' and include some unsung interiors from the inter-war period. This is the first guide of its kind for the Midlands and it champions the need to celebrate, understand and protect the genuine pub heritage which remains to us.